I always assumed that Minccino was one of those non-evolving mascot Pokémon, but it actually does evolve (or at least, puts on a bunch of boas). 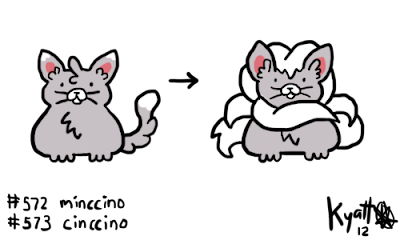 the boas are from minccino's it killed. or it just stole their tails. you decide.